We’re having a brief summer cool spell here in Vermont, which means the mosquitoes are temporarily not as active as they usually are. The mosquitoes are huddling in their little warrens, working up an appetite to chew all us humans to death over the Fourth of July weekend, when forecasters say the weather will turn hot and more humid. Perfect for mosquitoes. Before I complain too much about the bugs, I found two cases where things are clearly worse. 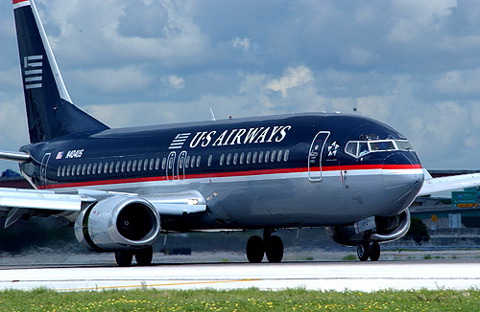 A US Airways flight Monday from Atlanta to Charlotte, N.C. had to turn around and go back after maggots were found coming out of a container of spoiled meat somebody brought on board. As is always the case, crucial details are missing from the story, although to be fair to the reporters, they did try to find out. The main question is: Why bring a container of spoiled meat onto a flight? Airline officials would not identify the passenger who brought the meat and the maggots on the plane, but noted this particular passenger was put on flight that was different from the one all the other passengers were placed upon. Good thing. The passengers would have killed the maggot-toting person, and that might have created a bigger, messier maggot problem. In other insect news, the flagship Hollister store in New York City had to close due to a bedbug infestation, according to the Wall Street Journal. The store chain, an arm of Abercrombie and Fitch, sells clothes to younger people. My unfair bias is that snobby, entitled teens wear Hollister clothes. Which really makes this particular infestation not my problem. But it’s fun to say “bed bugs” and “Hollister” in the same sentence. My theory of why the bedbugs spread in the store is Hollister and Abercrombie and Fitch stores are so damn dark. Bedbugs breed in the dark, so….. In any event, if you want to shop at the Hollister store in SoHo never fear: store officials assure us the exterminators are hard at work and they should reopen soon. This entry was posted on July 1, 2010 at 6:47 pm and is filed under Uncategorized. You can follow any responses to this entry through the RSS 2.0 feed. You can leave a response, or trackback from your own site.